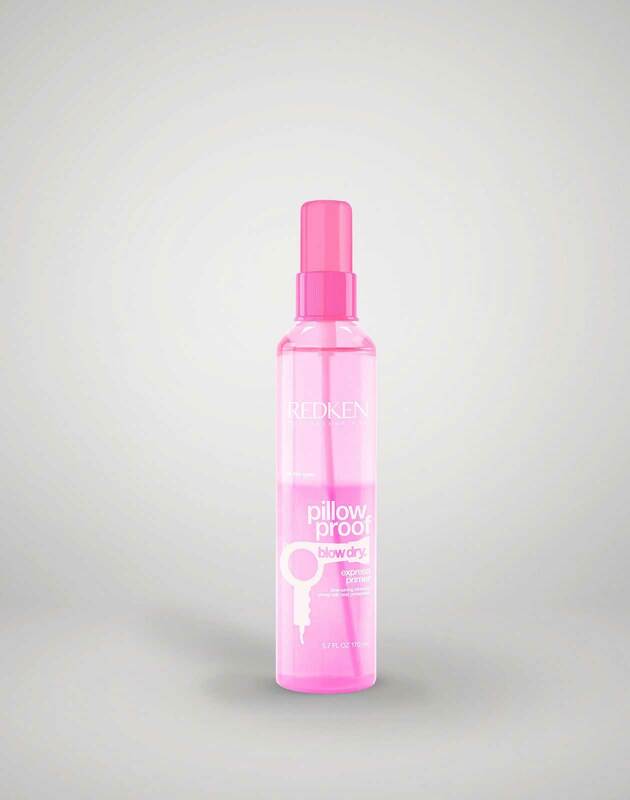 • Mist pillow proof blow dry express primer spray all-over damp hair. 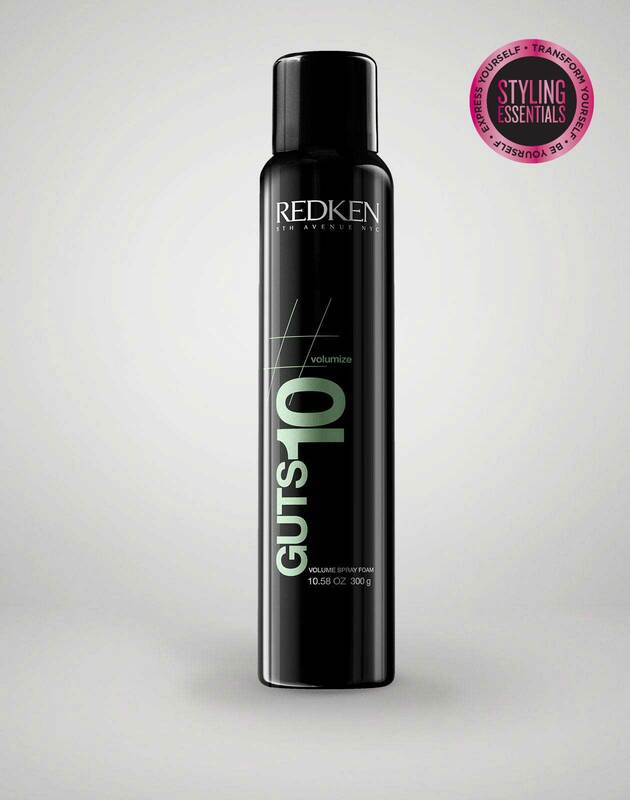 • Pump 2-3 pumps of diamond oil glow dry into hands and apply evenly to damp hair, working up from the ends towards the root area for intense shine. HOT TIP: Glow dry also enhances shape memory & discipline. 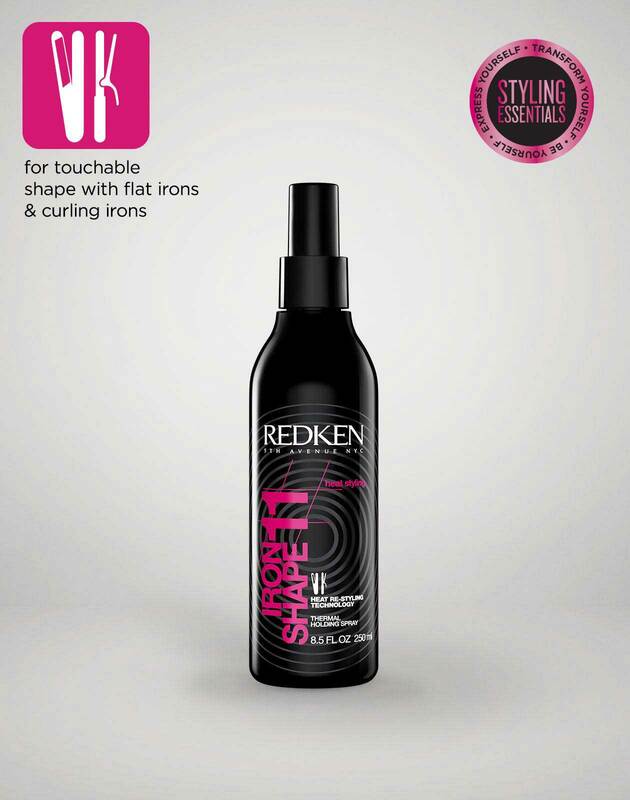 • Start at the nape to blow-dry your hair. 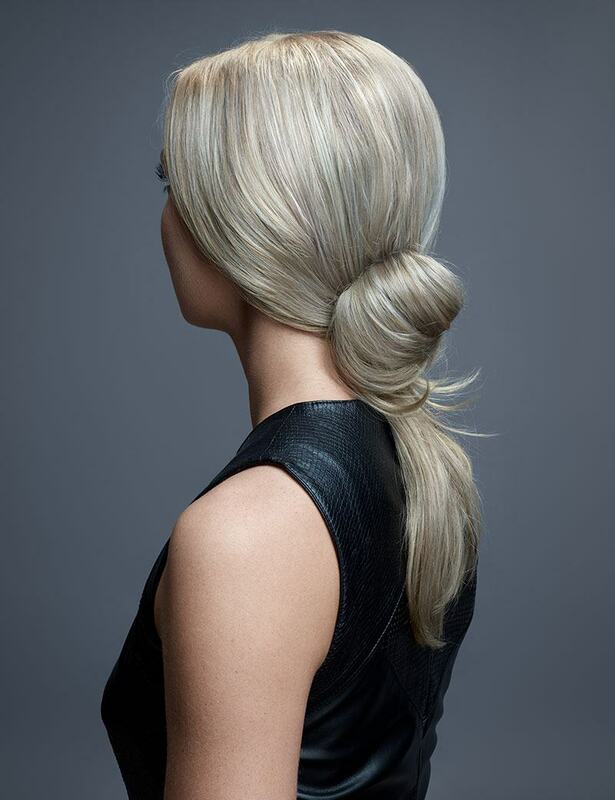 Section out from ear to ear and clip up the rest of your hair. • Take your paddle brush, lay your hair flat on the bristles of the brush and follow the section with your blow-dryer in slow, controlled movements, downward. Be sure to start at your root and then complete drying the rest of the section. Keep the section flat all the way through. This will ensure smoothness. Repeat in small sections until you complete the entire bottom section. • Now take the top section out and continue the same technique, laying your hair flat against the bristles of your brush and keep the sections perpendicular to the ground to eliminate any volume. Repeat until the top section is fully dry. 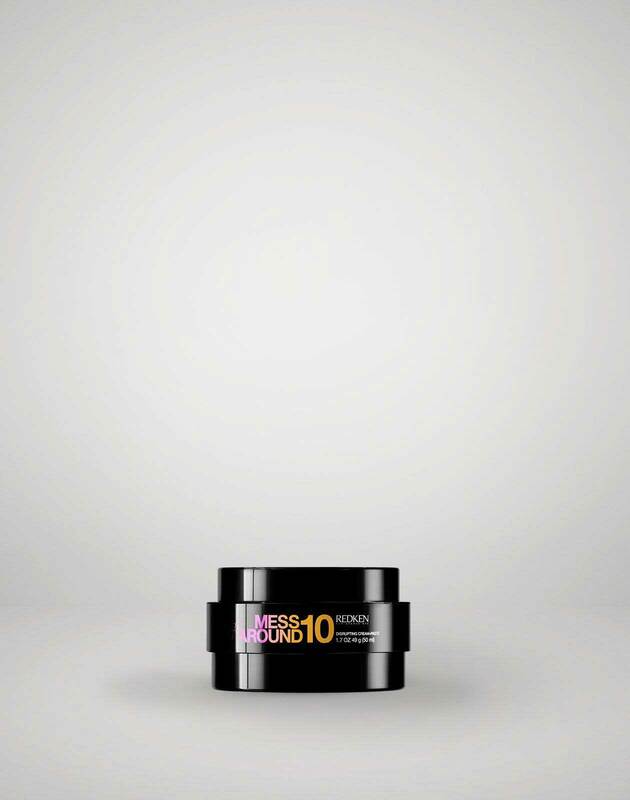 • Apply a dime size amount of rewind 06 from roots to ends. Create a middle part. • For the front sections, gather 2” sections from either side of the head, starting on either side of your part at the hairline. With each finger holding a section, twist backward and away from the face meeting the two sections (pointer fingers) and ending at the middle of the crown, in the back. Now Secure with an elastic. • Starting at the back of the ear on either side, gather 2, 2” sections with each forefinger, twisting back (away from the face) and meeting the two sections ending at the back of the nape. Secure with an elastic. HOT TIP: Be sure the hair remaining from each pony you’ve created from both twisted sections is lying underneath your twists. • Finally gather the remaining hair at the back of your neck, and the hair from the previous ponytails, separating into two sections on either side of the head and twist backward a few times. Before securing, be sure that all loose pieces from all the ponies are now combined. Secure with an elastic. 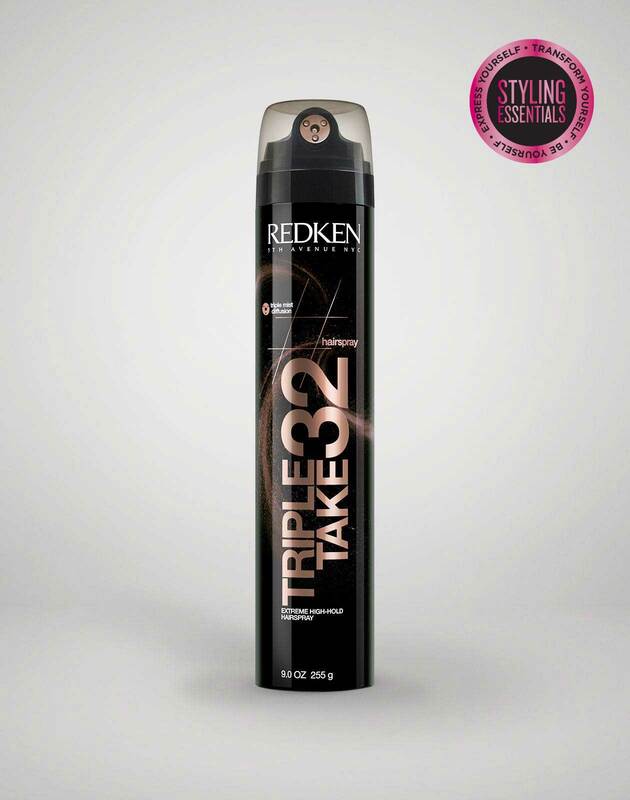 • Finish with a mist of triple take 32.